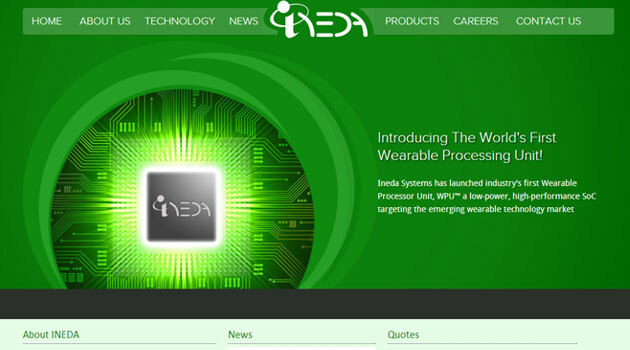 Hyderabad-based Ineda Systems Inc, a developer of IP chips for wearables and Internet of Things (IoT) market segment, has secured $17 million in a Series B round of funding led by Walden-Riverwood Ventures. This round also saw participation from Samsung Catalyst Fund, Qualcomm Ventures, IndusAge Partners and existing investor Imagination Technologies. The funding will be used to develop integrated, low power semiconductor and software products that are aimed at the wearable device segment. "With our WPU technology, we are confident that Ineda Systems will be able to meet the long battery life and high-performance requirements in the wearables market," said Ineda Systems' chairman Sanjay Jha. Ineda was founded by Balaji Kanigicherla in 2010. Prior to starting Ineda, Kanigicherla was working at AMD. Ineda has offices in Hyderabad and California. Other key top management people in the startup include Dasaradha Gude and Krishna Yarlagadda. Gude is a serial entrepreneur with startups like Cute Solutions (acquired by ATI technologies), Virtual IP Group, Qualcore Logic, Pacific Semiconductors (acquired by Faraday), etc. under his belt. He was most recently corporate VP at AMD. Yarlagadda serves as president at Imagination Technologies and has earlier been an investor or advisor at various technology companies like nBand, Intoto and vEngines. Ineda develops low-power system on chip (SOC) for use in both consumer and enterprise applications. It claims to have expertise in low-power SOC/IP development, architecture and software that is necessary to design silicon and systems that would be of use in future applications. Last October, Ineda had raised a little over $9 million in its first round of funding from a group of around a dozen investors. "The market is primed for a new class of semiconductor architecture that is specifically designed to be ultra-low power and high performance for use in the rapidly growing wearable technology space," said Gude who is CEO of Ineda.